There are many scenarios in Virginia when your license may be suspended and when you may be eligible to get a restricted license. This guide will analyze some of those scenarios and explain how to get a restricted driver’s license, what a restricted driver’s license does for you, and some things to be cautious about when using a restricted driver’s license. At the end of this guide, you should know the basics about restricted licenses, and also be informed on how to stay on the right side of the law. Finally, if you’re charged with a violation of your restricted driver’s license, this guide will explain how to start defending that case, and when to contact me for help with that defense. When can you get a restricted driver’s license in Virginia? In Virginia, if your license is suspended you may be eligible to get a restricted driver’s license. Precisely when you’re eligible will depend upon the reason for the suspension. This is the key thing that you have to understand: You don’t just go from being licensed to being restricted. People think that restricted means some of your privileges are taken away. That’s not the correct way to think about a restricted driver’s license. The proper way to think about it is that your license has been taken away completely and you are forbidden from driving, period. However, being granted a restricted driver’s license gives you certain limited privileges to drive for specified reasons. That’s why it’s called a restricted license. Were you caught driving with a restricted license in Virginia? If so, contact Virginia defense attorney Andrew Flusche today to discuss your options. When can you get a restricted license? We have to look at the reason for the suspension. Why did you lose your license privilege to begin with? There are several reasons why you could lose your privilege to drive in Virginia. Here are just a few. DUI: The main reason why a lot of people end up with a suspended license in Virginia is for a DUI or DWI. On the first offense for a DUI or DWI, you are eligible to get a restricted driver’s license normally. It will depend on the court. Some courts are kind of stingy with the restricted licenses and some courts grant them routinely. In this scenario, typically we should be able to get you a restricted license for permissible purposes according to the law. Fines or costs: This is a scenario where people get suspended for failing to pay their fines and costs. They often wonder if they can get a restricted privilege under this scenario. Unfortunately, the answer is usually “no.” If you’re suspended because you forgot to pay a ticket, or you procrastinated paying a ticket and it’s now overdue, the only way that you can get a restricted license is if you actually get that ticket paid off, or if you get onto a payment plan with the court. Otherwise, you normally will not be able to get a restricted license in Virginia. Possession of marijuana: If you’re convicted of possession of marijuana in Virginia, your license would be suspended for six months as part of the punishments. You might be eligible to get a restricted license from the court. This, again, is up to the court, and whether or not they grant it will be at the judge’s discretion. The same thing applies if you do the first offender program for a marijuana charge. If you enter the first offender program, the judge has to suspend your license for six months. Then it will be up to the judge to decide if he will give you a restricted license. Violation of DMV probation: In Virginia, the DMV has a program where if you incur too many points too quickly, your license could be suspended. You could also be suspended due to being on DMV probation, which means that they put you on a warning status and will suspend you if you get another ticket within a certain period of time. If this is your first violation of DMV probation, you would be eligible for a restricted license. Otherwise, you normally will not be eligible for a restricted license if the DMV suspends you. 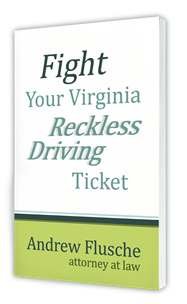 Reckless driving: In Virginia, reckless driving carries one possible punishment of having your license suspended, in addition to a fine and possible jail time. If the judge suspends your license, it is up to the judge’s discretion whether or not you will be granted a restricted license. Reckless driving is a situation where you definitely need a good defense attorney with you to argue on your behalf and try to get a restricted license if you are suspended. The actual application for a restricted license is available online through the Virginia Supreme Court’s website, and it seems pretty straightforward. Unfortunately, it’s not as simple as it seems and is, in fact, a somewhat complicated process. If you’re suspended by the court for some reason–such as a DUI, marijuana, or reckless driving conviction– then you would normally apply for your restricted license through the clerk’s office where you were suspended. However, the judge has to authorize you to get that restricted license. If you were not authorized, you may need to actually file a petition with the court and appear in front of the judge to ask for a restricted driving privilege. If you were suspended by the DMV due to probation or points, then you would need to talk to the DMV about getting a restricted driver’s license. Precisely what the court will require to get your restricted license depends upon the local court where your case has been pending. Some courts simply ask you to fill out and sign a form verifying that your statements are true, and they’ll grant the privileges that you put on the form. However, some courts have their own special form that they will want you to fill out and have your employer sign. Other courts will even require a letter or other documentation from your employer to verify who you work for and what your work hours are. This is one reason why it’s critical to have a good defense attorney on your side who knows the local courts and who can help you navigate the complicated process of getting a restricted license. When is your restricted license valid? If you apply for and successfully obtain a restricted license from the court, when can you actually use it? This is a question that some people overlook and jump the gun on. If your license is suspended for reckless driving or a marijuana charge, typically your restricted license would be valid as soon as you pick it up from the court. The restricted license is usually a green piece of paper, and when you pick it up the court will have you sign it. That green piece of paper lets you drive pursuant to the restrictions on the paper. However, if you’re suspended for DUI in Virginia, you have other steps that you definitely have to take before you’re allowed to drive. The first thing you will need to do is take your green piece of paper to the Virginia Alcohol Safety Action Program and have them sign your restricted license order saying that you’re enrolled in the program. Then you will need to get an ignition interlock installed in your vehicle. In Virginia, an interlock is a requirement of your restricted license for a DUI or DWI charge, so only after having the interlock installed are you allowed to drive. How long is a restricted license good for? You will definitely need to look closely at the paperwork for your restricted license to see what the expiration date is. If you’re suspended for DUI, typically your license will be good for the year. However, it’s possible that the court or the clerk’s office could put a sooner date on it, depending upon your overall scenario. Most importantly, you need to be careful about the 60-day deadline for when you first get your restricted license. For most restricted licenses, once you pick them up from the court, you’re on a 60-day clock to go to the DMV and jump through their hoops to make sure that your restricted license remains valid. In other words, the license might be good right away for you to use; however, if you don’t comply with some requirements at the DMV, such as paying a reinstatement fee, your license expires after that 60-day clock runs out. Therefore, if you don’t get it done and you’re still driving, you would then be driving on a suspended license. What is your restricted license good for? If you’re granted a restricted license in Virginia, you need to read carefully how the license actually works. Unfortunately, the clerk’s office does not always explain this carefully to you, and if you don’t have an attorney you may not understand what you’re actually allowed to do with the license. In a nutshell, the restricted license lets you drive to and from designated, authorized locations at designated times. You cannot drive for any reason that is not listed explicitly on the restricted license. If your restricted license lets you drive to and from work, can you stop and get groceries on the way home from work? A lot of clients have this exact question. Unfortunately, the answer is “no.” The restricted license only lets you drive from home to work, and then from work back home. That’s the way it works. You need to drive from point A to point B without stopping, without any detours or errands or side trips. That’s how you have to operate on a restricted license. Another question arises when someone wants to give a coworker a ride home from work. Are you allowed to do that? If your coworker lives really close by, can you give them a ride on your way home from work? Obviously, you’re allowed to have a passenger in your vehicle, but you cannot make side trips on your way home from work. Even if your buddy lives right next door to you, you would not be able to stop at their house and let them out. They could ride with you to your house, and then walk the rest of the way, but that would be it. What if you’re caught driving on a restricted license? What must you be able to show the officer? The key thing that I tell clients for restricted licenses is that if you’re ever stopped while using your restricted license, you need to be able to prove to the officer who stops you that you were driving for the right reason at the right time. Some clients have a very uncertain work schedule so it may not be actually typed on their restricted license. They need to be able to document for the officer when they left work or when they left home, and when they’re supposed to be at work, etc. You want to be able to show the officer that you are doing everything by the book and are driving for permissible reasons. If you don’t have proper documentation with you, or if you don’t have the proper reason to be driving, then it’s likely that you will be charged with a crime. Your car might be impounded and you could even be arrested. What could you be charged with if you’re caught driving outside of your restrictions? Keep in mind that if you get a restricted license, it’s because your license was suspended to begin with. If you’re driving outside the terms of your restricted license, then you are in fact driving on a suspended license because your restricted license only let’s you do A and B and you’re out driving for reason C, for pleasure or for some reason that’s not allowed on your paperwork. The key thing to remember is that judges treat these violations very seriously. If a court told you not to drive or to only drive to and from work, and you’re out driving for some other reason, then the new judge is going to be very unhappy with that case and you may be looking at a fairly severe punishment. In some cases, driving outside your restrictions could get you jail time. It very well could get your license suspended for an additional time, and maybe even lead to your restricted license being revoked. Not only could you end up in jail, but you may end up without any kind of a license, or with your license suspension extended. 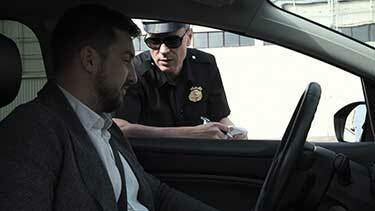 For a DUI, if you’re caught driving outside your restrictions, in most courts that will require jail time. If you’re found guilty of that violation it typically requires one additional year loss of your license with no restricted license whatsoever. What should you learn and remember from reading this guide? The key thing to remember for a restricted license is to read everything carefully and follow the directions explicitly. Don’t fudge the lines and don’t try to get away with things that you shouldn’t be doing. If you are caught driving outside your restrictions and you’re charged with an offense for that, definitely contact me right away so we can begin analyzing the situation and see what defenses you may have. Remember that it’s the commonwealth’s burden to prove what your restrictions were and that you were driving outside of those parameters. Depending on what you may have said or not said on the side of the road, they may not be able to prove their case. We may have an argument to try to have the case dismissed. I’d be happy to help you, so definitely contact me today and we’ll get started!